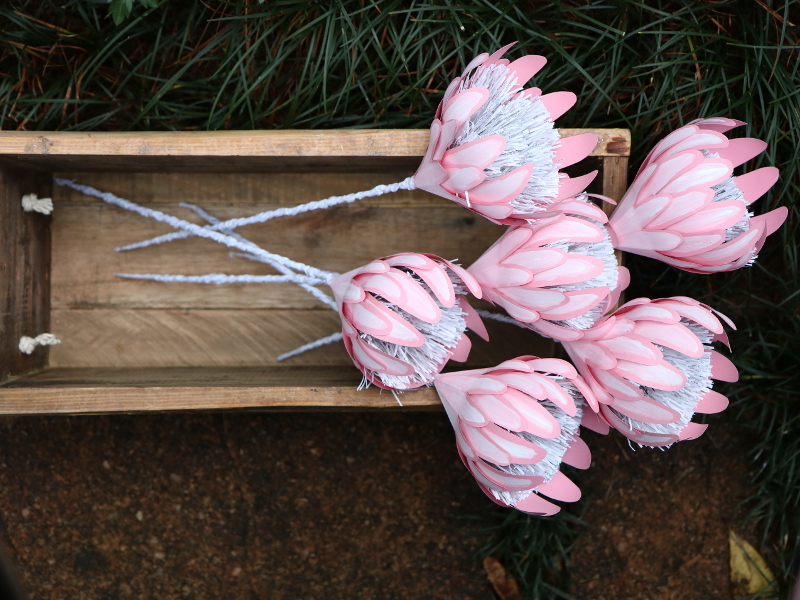 Pink Paper Proteas for a special order. 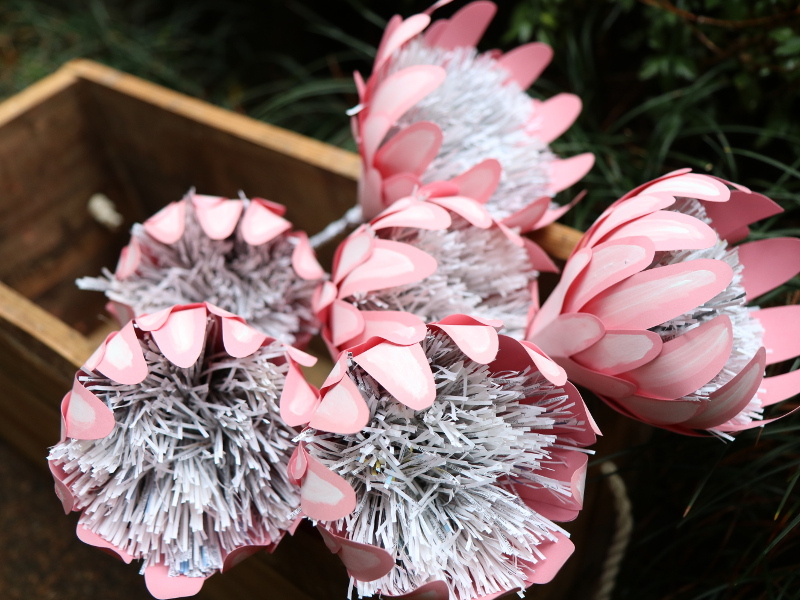 Highlighted with white paint and mounted around re-cycled fringed paper centres. 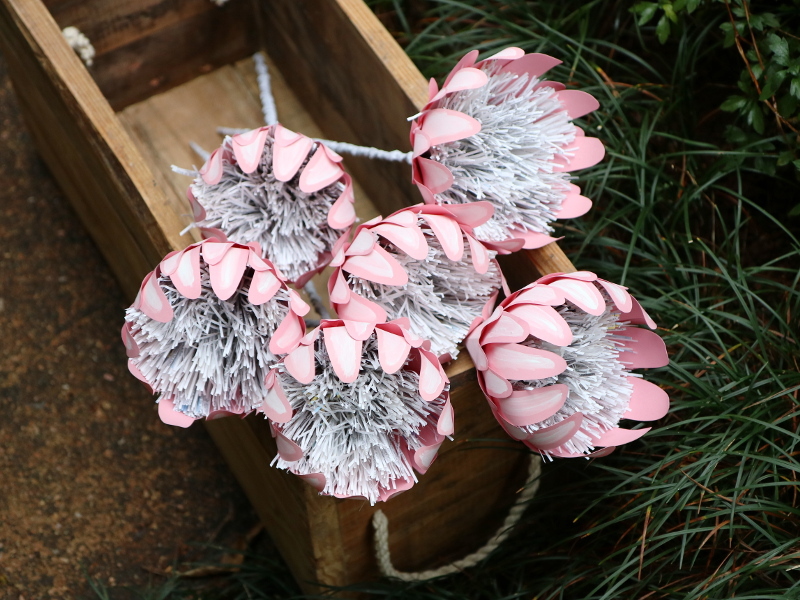 I loved photographing these blooms outside on the cool shady side of my home in a wooden box by Bruce Eales. 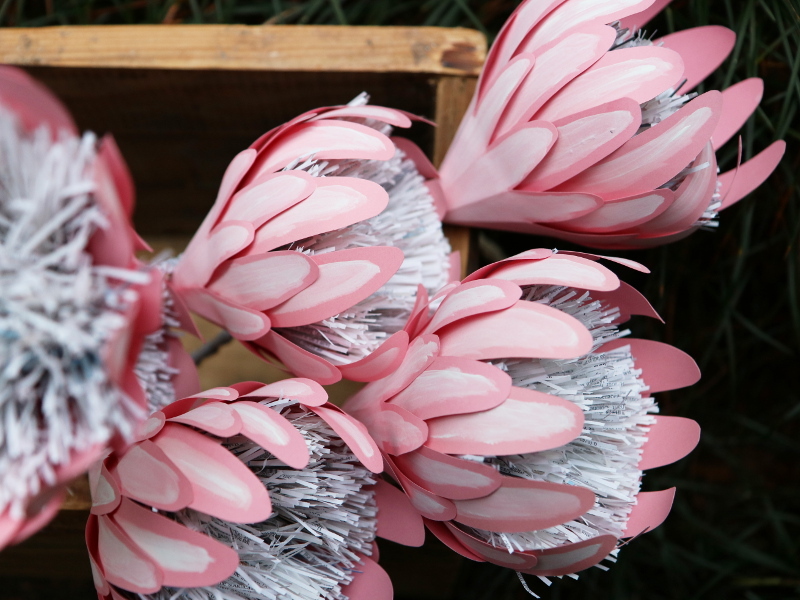 Our paper blooms have featured in bouquets at weddings, and works of art in galleries, been gifts for friends, launched fashion ranges, invited people to functions, reminded people of holidays to South Africa and more. Chat to us about making a bespoke bouquet for you.